Cornell University Press, 9781501700590, 200pp. 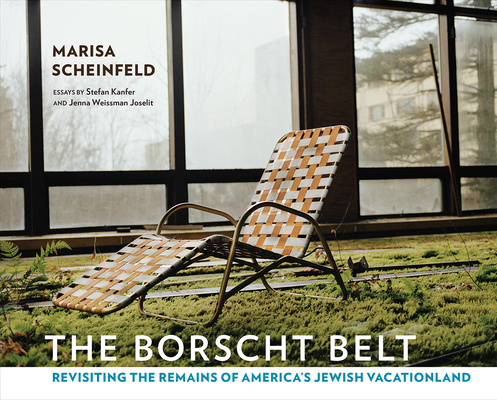 The Borscht Belt presents a contemporary view of more than forty hotel and bungalow sites. From entire expanses of abandoned properties to small lots containing drained swimming pools, the remains of the Borscht Belt era now lie forgotten, overgrown, and vacant. In the absence of human activity, nature has reclaimed the sites, having encroached upon or completely overtaken them. Many of the interiors have been vandalized or marked by paintball players and graffiti artists. Each ruin lies radically altered by the elements and effects of time. Scheinfeld's images record all of these developments.